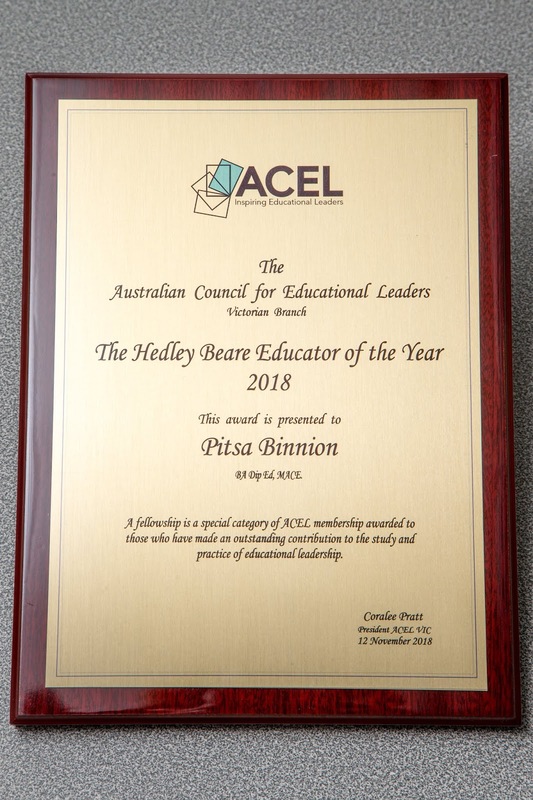 On Monday 12 November, 2018 I was invited to a ceremony where I was announced the recipient of The Hedley Beare Educator of the Year Award for 2018. 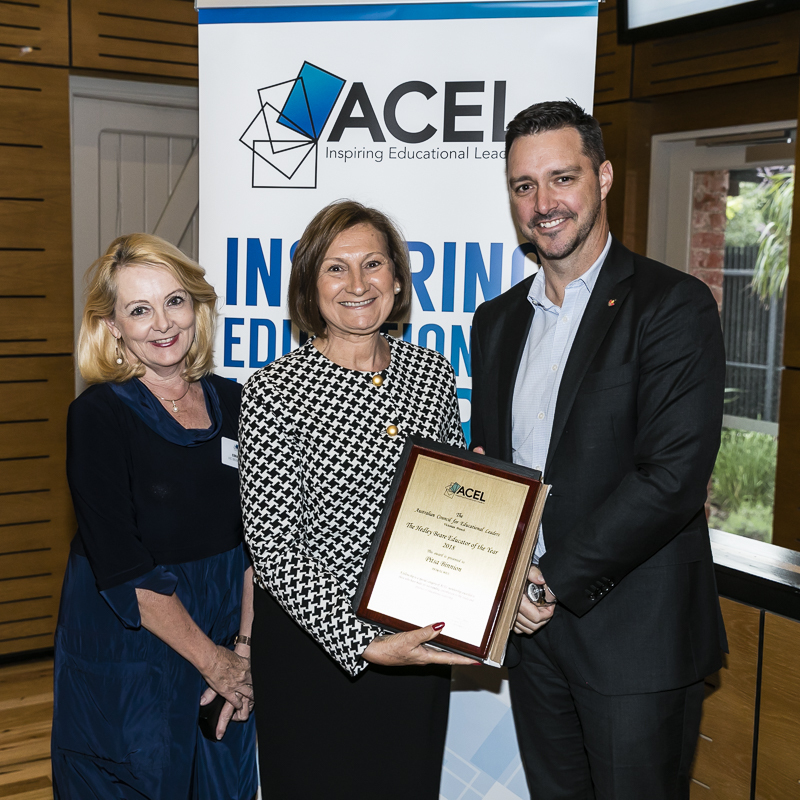 A highlight of the Australian Council for Educational Leaders (ACEL) Victoria Branch is the annual celebration and presentation of awards. This award is in recognition of educational leaders who, in the view of their peers, have made a significant contribution to the understanding and practice of educational leadership. The ACEL Victoria Hedley Beare Educator of the Year Award is given to an outstanding ACEL member who upholds and contributes to the aims and objectives of ACEL, promotes ACEL activities and excels as a leader within an educational setting. 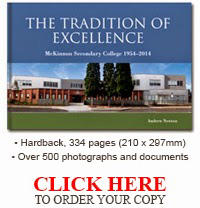 I was truly honoured to receive this very prestigious Award.